Every year at this time, the berries of the Pyracantha and Cottoneaster get ripe—really ripe as in fermented—and the birds go nuts. 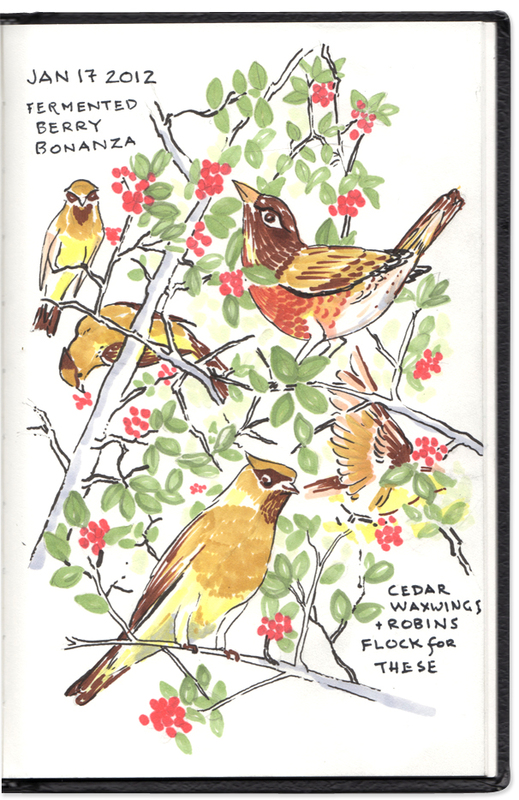 It sounds like a party all day long as flocks of beautiful Cedar Waxwings and over-wintering Robins hang out together. Above it all, I noticed, glided a hawk, ready to descend on any unsuspecting inebriate who might leave the party unaccompanied.